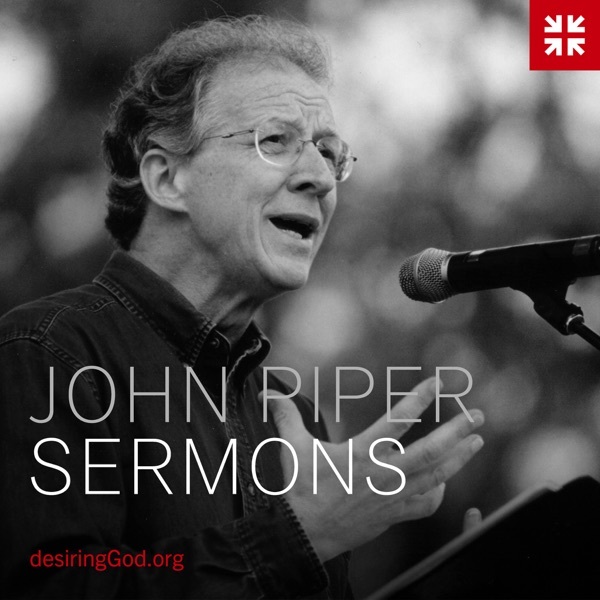 Take advantage of the hearing of Godâs Word through this podcast of deep and rich sermons!! Holy Spirit gift of teaching at His best. Bible saturated teaching. Dr. Piper is a true gift from God to proclaim His truth in such beautiful and passionate ways. Solid teaching, all about Jesus! If you havenât read Desiring God, I highly recommend it! I enjoyed the way it was written and the idea behind making God your greatest source of joy. So love Piperâs messages of hope and of the call to live a holy life! Piper speaks the truth from scripture with a passionate heart and fervent dedication. His preaching is a tremendous blessing. What an excellent resource. Thankful to hear the Bible preached. Piper advocates women to stay with abusive husbands. He is tone-deaf and has no christ-like compassion. Thank you, Desiring God team and Pastor John -- for your faithfulness to share this good (and challenging!) news. This man is the best in the business. He truly speaks the Word! This guy is great and sticks to scripture. How wonderful are the words of scripture! I count myself very fortunate to live in a day and place where I can easily acquire such a wealth of clear explanation from the Holy Writ. God is very kind to give this grace to Dr Piper and then that we can hear it and exalt His name together. Piper preaches the Gospel deivered once for all to the Saints.There are bad preachers out there that do not preach the true Gospel.Learn what the true Gospel is here.